Why does only some of my data grid information show up and the rest is cut off? I have to create a good size grid however once I save it in data grid, jotform resizes and doesnt allow me to view the rest. Any suggestions on why this could be happening? Sorry about that. I cloned your form in order to demostrate how to manipulate the grid size. 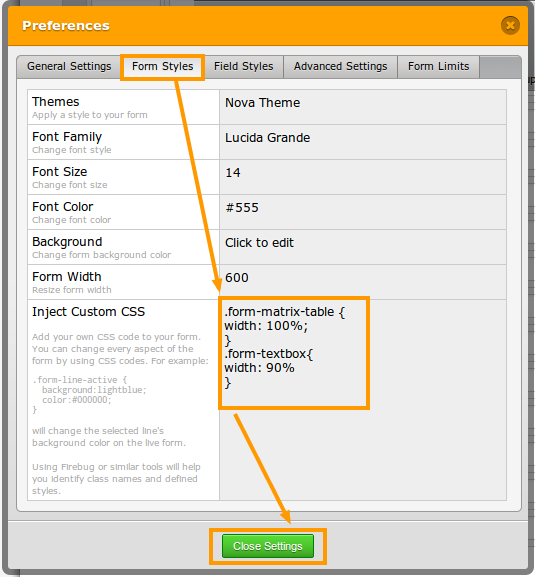 You can play around with the percentage values to change the size of your grid text box (.form-textbox), and the width of the entire grid (.form-matrix-table). Please let us know how we can be of further assistance.